Hello and welcome!! Stacy here on this lovely Tuesday to share with you a fun project I made using my Ultimate Tool. I'm not sure what I am calling it. I saw something similar in a magazine and thought it was so cute. So I just basically tried to come up with my own version of it. Here is a photo of it. What do you think? It kind of looks like a box doesn't it?? Well it's not a box and it isn't a card but a hybrid of the two. Sort of...lol It folds open and has a place on the inside that holds some mini envelopes. I thought that you could easily put gift cards, bath beads, cocoa or some other fun goodies in the envelopes. Here's how I made it. First I pulled out my Ultimate Tool because I pretty much use this puppy with every project I make!! ha Seriously!! I cut a piece of card stock to the measurements of 4" x 12". Working on the inches side of the board I butted the short end of my card stock up to the handle side of the board and scored the paper at 3 1/2 inches, folded and burnished and then butted up the folded edge to the handle side of the board again and scored at 1 inch. Repeat this process, scoring at 3 1/2" and then at 1 inch. This gives you the base of your project. I flipped my Ultimate Tool over to the envelope making side and made 3 envelopes. I started with a square piece of paper and scored it on all 4 sides making sure that my score lines crossed over one another. Then I cut a triangle of paper off where the lines cross. As you can see in the photo, I curved the edges on the top flap. (the one on the bottom in the photo) It just makes for a prettier finished envelope. Next you just fold in the two side pieces and glue them together. Then you fold up the bottom bit and adhere it to the two pieces you just glued. The Ultimate Tool has several dry emboss designs on it and a few are specifically for using on envelope flaps. I lined up inside of the top flap of my envelopes over the design I wanted to use and then embossed. Here is what it looked like after I was done. I could have used the heart design but I thought the design I picked looked a bit like the pattern in my patterned paper. I pulled some ribbon from my stash and glued it down on the middle of the back panel then I adhered my patterned paper over it. I pulled it over the top of the "box" and glued it down to the front of the base and again added the patterned paper over it. You can now pull the ribbon around to the bottom of the front and tie it together in a bow. This will hold your "box" together. I finished it off by cutting some hearts out of patterned paper and gluing then on the front and inside. 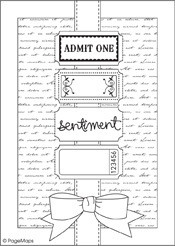 I pulled out my Humphrey's Corner stamp set - Chocolate Box and stamped out the sentiment on white card stock. I trimmed it to fit into the metal frame, glued it to the back of the frame and used brads to attach it to the card. I hope you are inspired to pull out your Ultimate Tool and make something fun!! And if you don't have an Ultimate Tool of your own, hop on over to the Crafter's Companion Store and pick one up!! 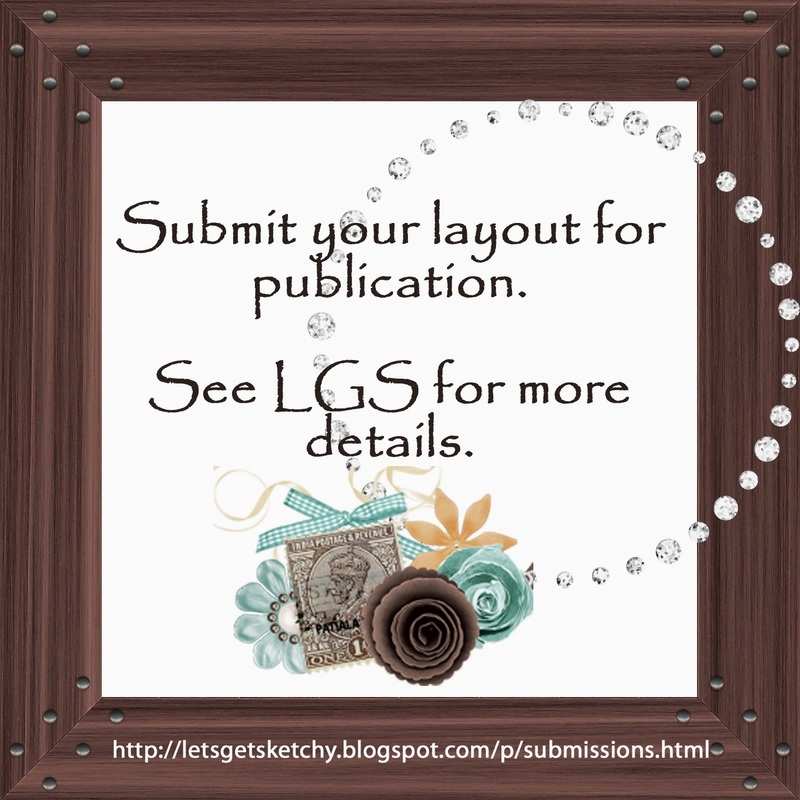 Don't forget that today is the last day to enter the Anything Goes challenge on the Crafter's Companion USA Challenge blog!! 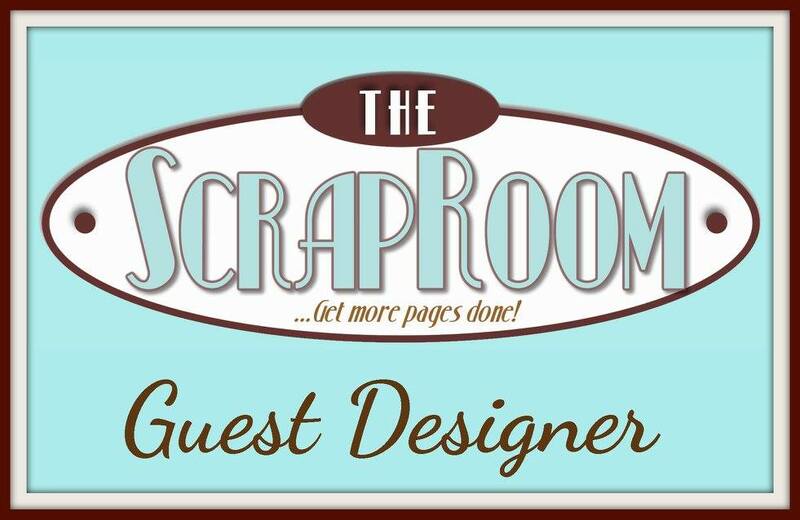 You know you want to win that $30 gift card to the Crafter's Companion online store!!! SHOPPING, SHOPPING, SHOPPING!! Want to see one last thing?? Here is a photo of G and I being silly today. More tomorrow. 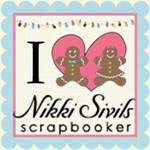 Amy at Scrap This, Save That blog has a brand new blog design and a giveaway!! She is trying to become a Grandma. She will tell you all about it on her blog. Go check it out HERE. The Make Me a Grandmother Campaign! How about a few photos from our recent trip to the park?? I hope you all are having a fab weekend. 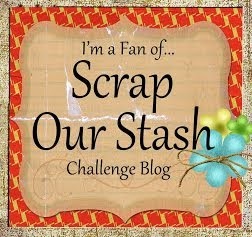 Remember that the Crafter's Companion USA Challenge blog has an Anything Goes challenge that is ending on the 31st. You should pull out those CC stamps and make something to enter!! You could win the $30 gift card to the CC online store!! Just think of all the shopping you could do!!!! On our way home we stopped at the GW Exotic Animal Park and took their Safari Tour. This is an animal rescue place for exotic animals. It is super cool!! SOOOO many cool animals to interact with and view. There were tigers, lions, ligers, tiligers, bears, zebras, horses, mini horses, camels, goats, chickens, wolves, orangatans, etc etc etc. We were able to hold an alligator, a 11 foot python, an albino skunk, a racoon, we pet a tiger cub and we let a camel take a treat out of our mouths! lol I will show photos from this part of our trip tomorrow. The only bad part was that it was 108 degrees and we were just dying! I think we should definitely come back in the winter. I stamped out the image and colored it with my Spectrum Noir markers. I'm still totally loving them and I know you would too if you owned them too. I found an acetate die cut in my stash that just seemed to fit this project perfectly. I made the base of my easel card from pearlized card stock. After layering complementary colored card stock I adhered the acetate die cut over my colored image. I pulled out some Washi tape that I purchased recently at Target(and have been dying to use...ha). I made little flags and stapled them onto the front of my card with my tiny attacher. And then grabbed a couple of die cut acetate butterflies to glue to the front also. I folded up their wings to give some depth and dimension. For the inside of the card, I layered my complementary card stock. Then I cut out a piece of card stock, glued down my sentiment on it and added some bright blue brads. I adhered it to the card with some double sided foam adhesive. 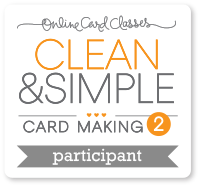 This gives dimension and it gives a spot where the top card can rest when it is open. Finally, I got that Washi tape out again and added two long strips of it to the top and bottom of the card stock on the inside. I just wanted to play with the Washi tape some more (hehe) and by doing this it carried the color from the outside of the card to the inside. I plan to enter it in the CMC Copic Challenge. I hope you enjoyed your sneak peak. Thanks for stopping by and looking today. Now I'm off to join my friend and the kids in the pool. Merry Christmas! Oh....hey...it's July isn't it?! I have gotten so caught up in my new Stamp It Christmas stamps that I guess I'm hearing sleigh bells!! lol I think I have something to share with you today that you will love. Stamp It has come out with a new collection of Christmas stamps and I am lucky enough to get to give you a little taste of them before they are even available to purchase!! WOO HOO!! I love sneak peaks, don't you? These stamps are so cute that I wanted to make something extra special with them. I pulled out my The Ultimate Christmas Project DVD. And I let Sara take me away to golly old England! Well, not really but I do love hearing her lovely British accent while she walks me through the easy to follow step by step instructions. Sit back and relax and follow along as I make my project! I picked out the Set of Drawers project and pulled out an 11" x 6 1/4" piece of red card stock. I made my project on my Ultimate Tool so next I got that out and opened it up to the box making side. Using the Box Base side I butted the short side up against the edge and scored the paper on line 5. I folded and burnished the line and then butted up the folded line and scored the paper again on line 5. I repeated this process 2 more times to make all 4 sides of my box. Next I cut out a matching piece of card stock that measured 6 1/4" x 1 1/4". I adhered this down on the short edge of the piece. This extends it and makes it look better on the front. Then you need to cut out 2 pieces of the same card stock at 3 7/16" square. These will be the top and bottom of the drawers. Using the box lid side of the board score all four sides on line 1. Fold and burnish the line. Then you will cut a small triangle out from each corner. I used wet glue on the back of these cut areas to form my boxes. Next cut out 4 pieces of paper at 4 7/8" square. These will be the actual drawers. Now you need the Ultimate Tool again. And you will need to do the same process as with the two smaller squares to make your drawer boxes except this time you will score all 4 sides on line 2. Now you should have all 6 boxes made and ready to glue down on your card base. Start with the short edge on your left. Grab one of the drawer boxes (larger ones) and glue it on the left panel near the top leaving room for a smaller drawer to fit in the space above it. Then take another drawer and glue it a step down on the next panel, do this with the each of the last 2 drawers making sure that you will have enough space between them to fold up your card. There you go, it is now all ready for you to embellish! I stamped out the Stamp It Wreath and colored it with my awesome Spectrum Noir markers. I used DG2, DG4, CR11, DR1, IG1, IG2, and EB1. I fussy cut the image out and layered it onto red card stock and also onto a shimmery green card stock. I added some Crystal Stickles for some sparkle. I cut out some matching patterned paper and glued it down to the front of the box and then glued half my wreath to the left half of the front. I punched out a hole above the wreath for my cord to go through. I folded my box back up and marked through the hole so that I would know where to poke my holes on the other side. I poked two holes on the right side. I went down the middle hole from the front and up and out the other hole. That way I would be able to pull one side up through the hole on the side of the front with the wreath attached. That enabled me to tie the box shut. I drew 4 holly leaves freehand and fussy cut them out. I used my embossing tool to score veins on the leaves and then creased them along these lines to give them dimension. I attached them to the top of my box, added some red buttons from my stash and to finish up, I layered my sentiment onto matching card stock and glued it down inside the box. Okay, this is long enough and I bet you are tired of being here so I will say goodbye for today. Yesterday, she and I went out for a girl's day. We went to the LSS for their garage sale. I was so excited because I purchased 3 LARGE bags of stuff AND a wire shelf for paper for $99! The wire shelf is the kind they use in the LSS and it cost them almost $200 for the same rack!!!!!!!! WOO HOO!! I got it for $35! After we left there we hit a couple of garage sales (I bought a bicycle) and then went to eat at Olive Garden. YUM! Then we went to get our toes done (mine are now bright orange with some decoration on them) finally we hit the book store. I bought some books and a ton of scrapbook magazines. 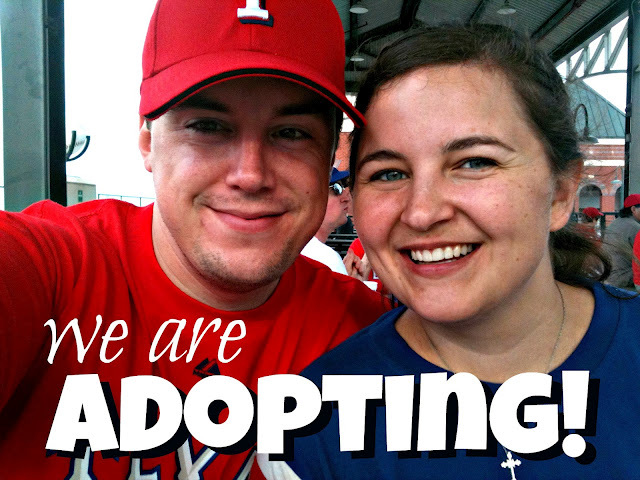 Today my hubby and I took 3 of our kids and went to a couple of estate sales. I love doing that kind of thing. We ended up buying a couple of very comfortable UGLY chairs for $20 for our vacation home! They are in fabulous condition because the old lady had them in her formal living room since probably the 60s! LOL And I don't think they went in the formal living room very often. hehehe We don't really care what they look like, we just like that they are comfortable and cheap! And they threw in 2 necklaces for my daughter, a stack of mini envelopes and a Carnival glass bowl for free! At the next estate sale we bought 2 milk glass dishes. I collect depression glass so we were excited to get these two pieces for a very low price! We stopped and picked up pizza on the way home and now my kids are swimming in the pool and my hubby and my brother are out watching them swim. I took a few minutes to make my first Christmas card for 2012. 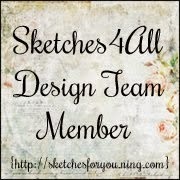 I used a Pagemaps sketch that I fell in love with and am using as my Card challenge on the Sketches4all site. I used scrap paper and some stickers from my stash. The ribbon is some that I bought recently at the LSS. I think I might need to buy myself a bit more because I can see me using it alot. It would be easy to color and customize. Thanks for stopping by today!! Hugs!! It is always harder to find time to blog while we are visiting Oklahoma in the summer. We are always so busy going and doing and visiting. So I apologize for the lack of posts lately. Today is my wedding anniversary with my hubby. We have been married for 18 years. We met in the 9th grade in our English class. Today we went on a "date" for lunch. We went to eat at a lovely restaurant called the Paseo Grill and were really happy we did. The food was yummy, the atmosphere was comfortable and the wait staff were solicitous. I had a Cuban sandwich and iced tea. YUM! We went to visit my father's grave too since the restaurant was very near the cemetery where he is buried. He died when I was 16, killed by a drunk driver. It is so sad because he was only 40 years old when he died. So young. It was nice to visit and leave flowers. Afterwards we went for a relaxing drive and then stopped by Home Depot to pick up some tile. Random day, I know! lol But it was a nice day and we enjoyed our time alone together. My brother watched our kids while we were gone. Thank you David!! Tomorrow my mother and I are having a "girls day out". I'm not sure what our exact plans are but I do know they will include stopping by the LSS for the "garage sale" that will be going on! Fingers crossed they have some fun low priced goodies. This week's birthday girl - my Mom. I made these two cards recently. One was for my hubby's birthday and the other was just for fun. They are both super simple and quick. Hopefully I will get more scrapping done this weekend to share with you. Thanks for stopping by to look!! Lately I have been trying to find ways to stretch the uses of my stamps. I love to color but sometimes it is fun to use my stamps in different ways. 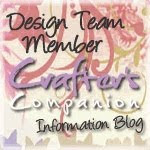 This week for my project at Crafter's Companion I decided to use one of my background stamps on the base of my card. I used the gorgeous Stamp-It EZMount Stamp - Wallpaper (by Micky Choo) from the Discovery Collection. I decided to stamp it out on kraft paper with clear ink and then I covered the ink with opaque white embossing powder. Next, I pulled out my Sheena's A Little Bit Scenic - Provence sunflower stamp and did the same thing. 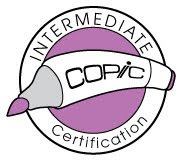 I stamped it with clear ink and then embossed it with opaque white embossing powder. Then I fussy cut out the flowers. I pulled some patterned paper from my stash and then used a cool edge punch along the bottom. I stamped out my sentiment on orange card stock and then cut it out in a banner shape. I added 3 pearls on the banner for a bit of bling and some ball fringe to the card just for fun. I glued down two of my flowers directly to the base card and then I used double sided adhesive squares on the back of the other two flowers to give dimension to the card. I told you that I had made a layout last week. Well here is it! I used a Pagemaps sketch and some photos from our Spring break trip to southern California. I used Webster's Palm Beach Collection. I fussy cut the swim suits out of a piece of patterned paper and used my pop dots on the back of one to give a bit of dimension. The cute little sun was from a RAK I won . I'm so happy you stopped by here today and I hope to see you back here tomorrow for more inspiration. Until next time...happy scrapping!